Home Obits CAPT. DONALD JEAN CREPPEL SR.
CAPT. DONALD JEAN CREPPEL SR.
Capt. 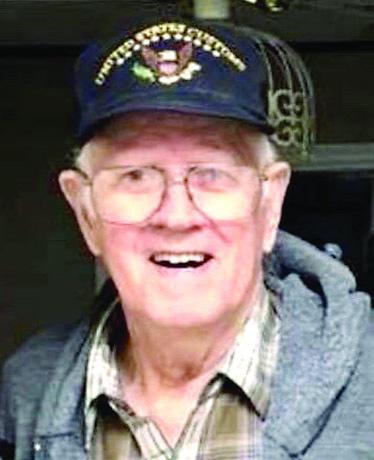 Donald Jean Creppel Sr., known as “Duck” and “The Old Dude,” passed away April 2, 2019, to be reunited with his beloved wife, Virginia “Cotton” Young Creppel; father, Ursin Jerry Creppel Sr.; mother, Jannie Mae Turner Creppel; brothers, Gilbert, Earl and Ursin Jr.; and sister, Barbara Mae Creppel Moriarty. He was surrounded by his three children, Donald “Donnie” Creppel Jr; Donna “Sissy” Creppel Simmons and Earl “Tiger” Creppel. He leaves behind his grandchildren, great-grandchildren, beloved nieces and nephews, and many friends and family members-including two French-speaking aunts, Leoncia and Mia’ who are comforted that he is now at peace. The family wishes to especially thank his friend Jimbo who brought so much joy to Donald in the final months of his life after the passing of his wife, by listening to old stories (often repeatedly), going for rides and playing cards. Donald was born Feb. 22, 1940, in Crown Point, La., and grew up on Rosethorne Road in Lafitte. He began school at the age of five after beating up another kid at the school and being followed home by a teacher. After completing the eighth grade, he got a job as a deckhand on a tugboat where he eventually became a towboat captain; a job he said is the only one he ever wanted. He worked for McKinney Towing, a company as loyal to the Creppel family as the Creppels are to it, for over 50 years on the mighty Mississippi River and beyond. For most of his life Donald could often be found cheating at solitaire, whistling with his mouth open (we don’t know how he did it either), looking at maps with a magnifying glass, writing on everything, drinking a Dr. Pepper or Barq’s Root Beer, chewing on a Halls cough drop, watching westerns or cop shows and telling stories about his younger days or family members. At his request, there will be no funeral or memorial service. He wanted you to see him while he was alive. The family instead requests that you reach out to someone you haven’t talked to in a while, share a meal (preferably shrimp) with an old friend or missed family member or help someone in need if you are able.